In the state of California, boat operators can be as young as 12 years old, have no boater education, no license, and still be legally allowed to operate a boat. The NBC Bay Area Investigative Unit has also discovered the Golden State is the second worst in the nation in number of boating accidents. And, within the state, the 1,000-mile stretch of the California Delta, which consists of the lands and waterways between the San Francisco Bay and the Sierra Mountains, has had the most accidents occur in its waterway since 2007. In light of the dangers, some groups have been arguing for tougher boating regulations, but have been met with stiff opposition each time. Lt. Doug Powell of the Contra Costa County Sheriff’s Marine Patrol Unit has been one of those lobbying for more stringent regulations. “You wouldn’t give a 16-year-old the keys to your car, and tell them to go out and drive out on the street without any education. It’s hard to believe that we are doing that with boats,” Powell said, whose unit is responsible for patrolling more than 200 miles of linear coastline along the Delta from Richmond to Discovery Bay. He believes that boater education should be required in the state. California is one of only five states, including Alaska, Arizona, South Dakota, and Wyoming, with zero boater education. And many believe that the dearth of education is why California had about 2,775 boating accidents from 2007 to 2012, according to an NBC Bay Area Investigative Unit analysis of U.S. Coast Guard data. To compare, only Florida had more such accidents – more than 3,800 in the same time period. Texas ranked third with about 1,110, and New York and Michigan came in a close fourth and fifth with about 1,000 each. “Yes, alcohol has been a problem but education is the main reason for accidents in our county,” Powell said. He said many tragic accidents could have just been avoided if boaters knew the basic rules of the road. 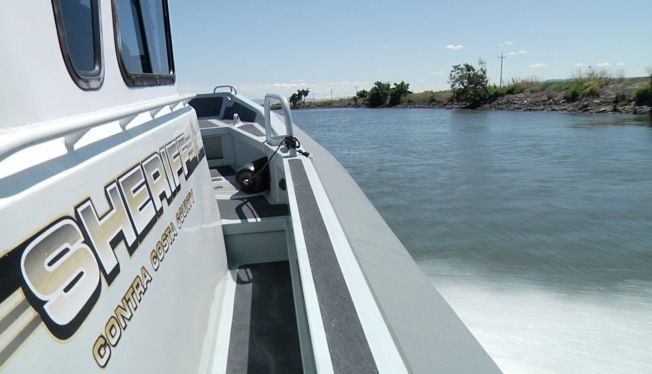 In fact, according to the California Division of Boating and Waterways, the most common causes of collisions are operators not paying attention and lack of education- just a fraction of incidents are fueled by alcohol or drug use. Jason and Maryann Hale know firsthand what can happen when boaters are neither equipped with adequate skills nor focused on operating a boat. On June 22, 2007, the Hale family was celebrating their son’s birthday on Whiskeytown Lake near Lake Shasta. The day of celebration took a tragic turn when a power boat plowed into a boat carrying several of their children, including their 12-year-old daughter, Trevienne. The operator of the powerboat was “was out doing tricks spinning around and going through the no wake zone,” Jason Hale said. According to vessel accidents reports obtained by NBC Bay Area, not only was the operator not paying attention but he was going 20 to 30 miles an hour; Trevienne’s boat was traveling at 5 to 10 miles an hour. The documents show that the boat was speeding in a “no wake” zone, where boats aren’t allowed to go faster than 5 miles an hour. Trevienne was knocked unconscious but was breathing. She was flown to Mercy Medical Center in Redding, where she eventually died. “It's like Russian roulette with your children and your loved ones out there, if someone doesn’t do what they are supposed to do out there,” Maryann Hale said. The Hale family is left devastated with the loss of their daughter, frustrated by the few safety requirements, and terrified to return to what once was a favorite leisure spot. “It is ridiculous. I think it’s a mentality of thinking that the only person you are going to hurt is yourself, but they don’t realize that these people are colliding with other boats,” Ostrander said standing in front of Pier 39. However, mandating boater education and similarly increasing regulations for waterway safety has been met with great opposition. In 1999, Governor Gray Davis vetoed a bill that would have required education training for boat operators. Davis in part argued, “There is little evidence that a written test alone will improve the piloting skills of motor boat operators or reduce boating accidents.” Yet, the Investigate Unit found that on average, states that require boater education on average have a lower rate of fatal accidents than states that do not. For example, New York and Illinois, which have long required boating education, have about 3 to less than one boating fatality per 100,000 boats over a four-year period. California, however, averaged four fatalities per 100,000 boats in that same period. A similar bill in California was introduced in 2007, but also failed. Ed Swakon from the Marine Council, an industry trade organization, believes that boater education is important but should not be a requirement. Swakon also believes that boaters should not be forced to obtain a license to operate. “It might just be a taxation or revenue source that we don’t think needs to be imposed on the boating community at this time,” Swakon said. View the interactive map below for data The Investigative Unit obtained from the California Division of Boating and Waterways identifying the waterways that saw the most accidents in the state of California from 2007 to 2012. Ray Kleinen, a Captain in the California Coast Guard Auxiliary, explains how he and the other Coast Guard Auxiliary volunteers assist the Coast Guard in their efforts to promote water safety. Auxiliary members help the Coast Guard spot safety issues on the water and help out the many people who enjoy using the waterways. On the day we interviewed Ray, the Coast Guard and the Coast Guard Auxiliary were performing a safety exercise with boats, divers, and helicopters.